The spring of 2017 will mark the 40th anniversary of the release of Elvis Costello's "Less Than Zero," his first single for Stiff Records. Nearly 25 albums later (not counting his collaborative releases with The Roots, Burt Bacharach, Allen Toussaint and others), Costello's cerebral, crafty lyrics, whiplashed pop rage, acerbic humor, reedy croon and ferocious bark have traveled a full spectrum of love and life conflicts. Although Costello, born Declan MacManus in London, is more of an avuncular presence these days than the furious, bespectacled, gap-toothed punk of the late Seventies (memorably banned by "Saturday Night Live" for over a decade after playing "Radio Radio" against producer Lorne Michael's wishes), he has always skittered away from a mundane mainstream path. 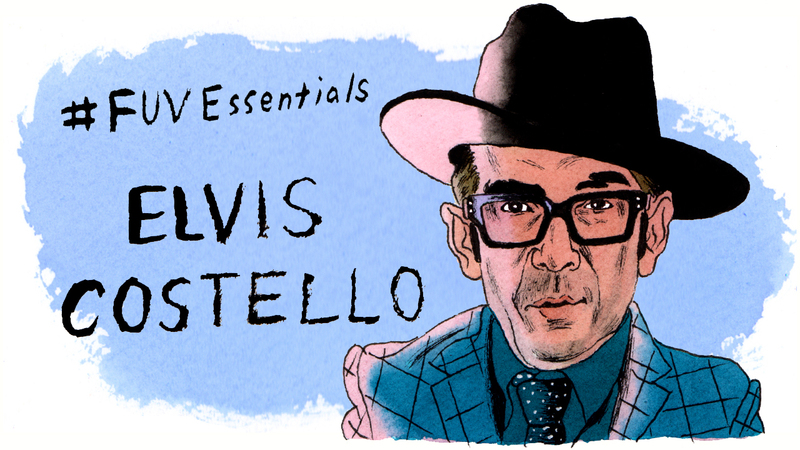 Costello intuitively follows his own restless muse, flinging himself far beyond the caustic New Wave pop hits of his early career to bruising political commentary ("Tramp the Dirt Down" from 1989's Spike), classical sojourns (1993's The Juliet Letters), and albums devoted to old country music covers (1981's Almost Blue) or jazz-steeped ballads (2003's North). Accompanying this restless provacateur has been a league of gifted musicians populating his backing bands over the years — like the Attractions, the Imposters, the Brodsky Quartet — and longtime compadres, notably keyboardist Steve Nieve. In addition to Costello's work with Bacharach and Toussaint, his many other collaborators have included Paul McCartney, Aimee Mann, Jenny Lewis, Larkin Poe, and T-Bone Burnett's New Basement Tapes. It's not surprising that Costello's acumen as a lyricist translated easily to his strength as an author — his excellent 2015 autobiography, Unfaithful Music & Disappearing Ink, revealed an elusive, driven man, as seduced and beguiled by words as music. Elvis Costello is back on the road with the Imposters in 2016 and arriving in New York for two shows at the Beacon Theatre on November 6 and 7. It seemed as fine a time as any to salute this gifted man — an erudite, cheeky icon sporting a straw hat (or fedora) and chunky, black-framed glasses — who is unquestionably an FUV Essentials artist.